Looking "where to sell my 1970-71 Dodge Challenger?" Ask the Chicago Car Club! Are you wondering "where to sell my 1970-71 Dodge Challenger ?" 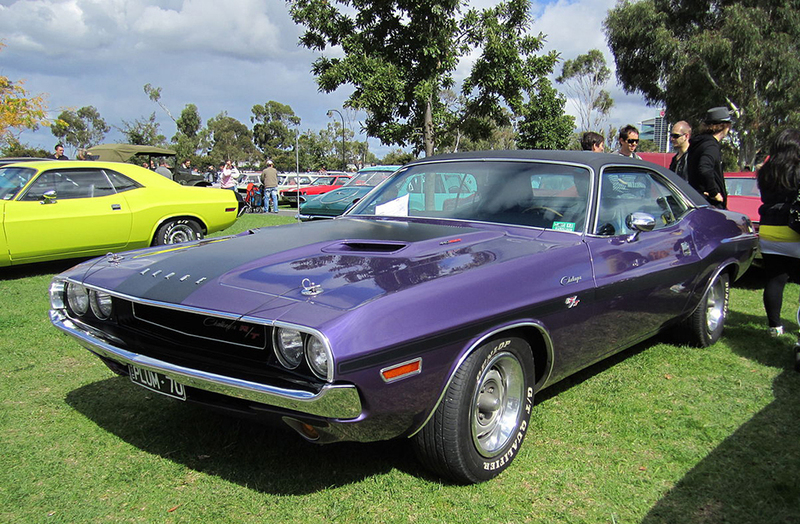 The Chicago Car Club is interested in classic cars of all makes and models, especially a 1970-71 Dodge Challenger. We make the process of selling your 1970-71 Dodge Challenger quick and painless. In just a matter of hours we will have your classic valued and, if you do so choose, turned into money in your pocket. All it takes is a phone call or electronic inquiry to get the ball rolling. The Challenger is an American muscle car made by Dodge from 1970 to the modern era. Two of the most celebrated model years of the Challenger are 1970 and 1971. In those first model years it had a choice of 3 different engines: a very capable slant 6, the impressive 440 and the powerful 426 Hemi. The high performance version was the Challenger R/T, or “Road and Track” version. It came with the 335 bhp 383 engine, two choices of 440 engines and the 426 Hemi with its massive 425 hp. The Dodge Challenger was based on the Plymouth Barracuda platform with a wheelbase two inches longer to provide more interior room. It came both as a 2-door coupe and a convertible. An SE package was available for both the standard and R/T editions and included leather seats and a vinyl roof with a smaller “formal” rear window. The 426 Hemi powered Challenger was quite a performer. It produced 490 foot pounds of torque and a 425 hp. It had a 0-60 speed of under 6 seconds. Drag racers appreciated the standing quarter mile time of around 14 seconds. The Hemi was only ordered by 356 customers, making that combination highly sought after by collectors. Fifty specially prepared versions were made in Hemi Orange as pace cars for the Indy 500. One of these crashed into a press box, injuring many of the reporters inside.